Meet Jason Pliml: business owner, consultant, family man, proud nerd, and head honcho of LongerDays. I sat down with JP (as he is called here in the office) and asked him a bunch of questions – like we do for every employee spotlight. We talked a lot longer than I thought we would, and the conversation was full of insight! He provides great advice for business owners (since he is one), and continues to consult small and corporate businesses. He’s worked with over 175 companies over the last 5 years. 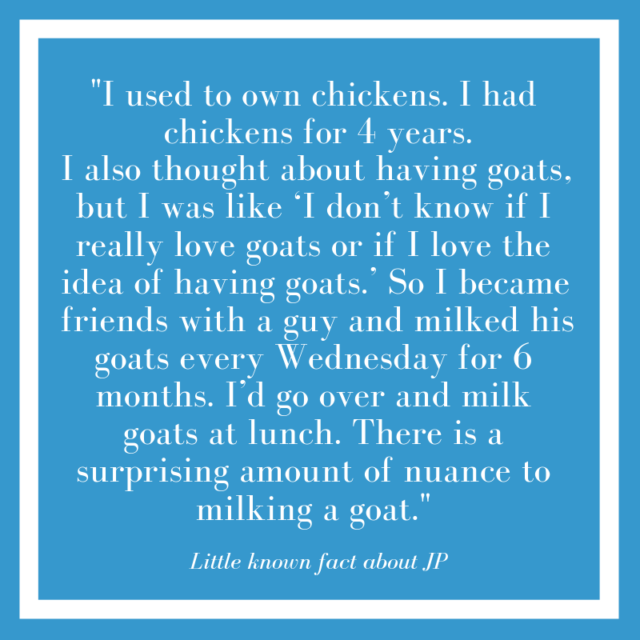 JP grew up in the suburbs of Chicago until the end of 8th grade. He then moved to Stevensville, Michigan (near St. Joseph), and has been in Michigan ever since. He went to Lake Superior State University in Sault Ste. Marie (Michigan’s Upper Peninsula), where he graduated with a Bachelor’s degree in Computer Science and Mathematics. It quickly became apparent that he had the technical expertise, but didn’t possess the business skills. So, he reversed course on starting his own business and joined a company that was doing some of the first e-commerce development around 1999. He quickly moved up the ladder and became the Director of Technology. During his time here, he was focused on training himself to own a business, approaching every scenario as if he was the owner of the company. He worked there for about 9 months before he left and started his own software services company! JP eventually decided to turn his eye from having a software consulting business to a software product business. He used the cash flow from his corporate software services firm to fund development of a couple software products. He focused on developing products like auction software for nonprofits and later, fantasy sports drafting software. It’s one of JP’s harsh early lessons: that if you don’t really do your homework on what customers will actually buy, you’re putting your product at great risk of failure. The fantasy sports drafting concept gained traction and ultimately led to angel investment. The new board members of his company strongly encouraged him to focus on running the business and lean toward marketing, rather than on technology, which was his comfort zone. He committed himself to learning how to effectively grow the business, and recalls that push from board members as a key turning point that changed him from “just a software developer” into a business owner. JP learned plenty of lessons with this business, but he eventually sold it to another fantasy sports company. After the sale, he wrote down all the things he learned – and all the things he still needed to learn. During this exercise, he uncovered big gaps in his business acumen, including a lack of accounting knowledge. This prompted a return to school for classes on Financial, Managerial, and Cost Accounting, all of which have continued to pay dividends throughout his career. After a six month reconnecting and regrouping period, one of JP’s investors asked him to come on board in a sales position (something that he had never done before). With some trepidation, he said yes, and was soon surprised that his knack for combining technology with business outcomes – and the willingness to have conversations – were the basic sales skills he needed. While in this sales position, JP volunteered as a mentor for tech company startups, and in turn, realized he had an aptitude for business consulting. Through mentoring, he connected with a consulting organization called SBDC. They brought him on full time as a consultant to work with startup and established tech companies. After leaving SBDC, he realized another one of his gaps… Businesses are operated and owned by people, and, like himself, they carry the baggage of their whole lives with them into the companies they operate. In situations where an owner was afraid to give up control, didn’t trust anyone, or was afraid to hire someone more knowledgeable (even though it was the right thing to do), JP felt ill-equipped to help clients overcome the emotionally rooted challenges. 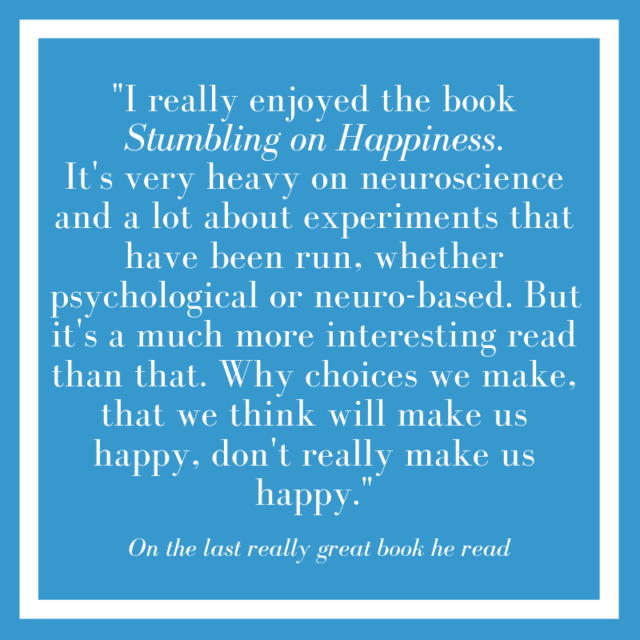 This prompted him to participate in a coach training curriculum so he could learn how to help draw insight out of people – instead of only giving advice. He learned that asking questions, being curious, and using his intuition to guide conversations (instead of only making statements) vastly improved these types of situations. JP purchased LongerDays in April, 2016. From a business standpoint, LongerDays appealed to him. He liked what the company did, as well as the business model. It was the culture, however – the people that work here – that he truly loved. With some hindsight regrets, he was hands-off for the first 6 months. He had a full-time job, and the previous owner was still managing day to day operations at LongerDays. JP was hesitant to dive in, apprehensive about disrupting the culture or making any changes before really understanding the company. Once the former owner wound down his leadership role, JP stepped in as the new “boss.” His goal for the future of LongerDays is a mindset shift: thinking of us as true partners in all of our clients’ businesses. We want our clients to trust us enough to hand over their businesses. He asks us to continue to develop, and focus on more valuable skills and outcomes. This means LongerDays still performs necessary tasks like answering phones and emails, but that we also solve the larger issues that surround customer service systems. Our goal for the future is not just to get tasks done, but to solve problems for the betterment of our clients. Since his involvement in LongerDays, he has rolled out several new benefits for its employees. The wages have increased about $2.90 per hour (on average). We now have a profit sharing plan and a company-matching retirement plan. 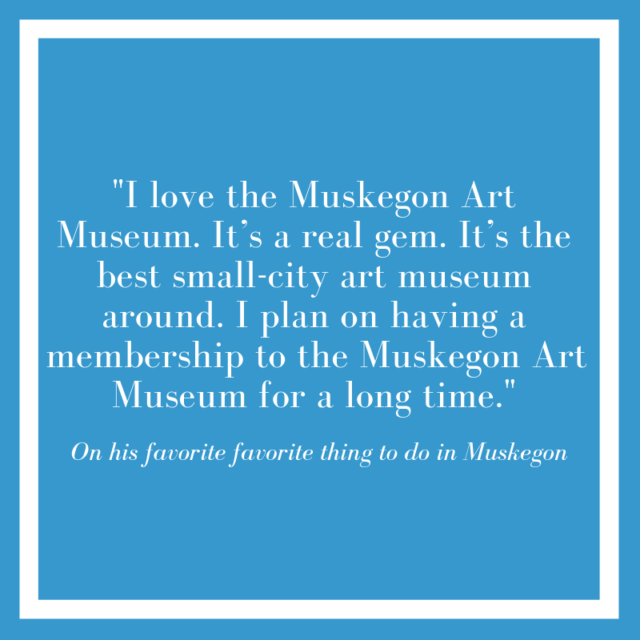 The newest benefit is inspired by one of our LongerDays Values: Make Muskegon Better. The incentive encourages employees to volunteer in the community by paying up to 8 hours of wages for a new volunteer experience. JP currently lives on the west side of Grand Rapids. He’s a fan of dive bars, live comedy, live music, and reading personal growth books. He really enjoys swimming and spending summer days at the beach, hiking in the fall, and ice skating in winter. He’s a gardening geek with a penchant for heirloom garlic. Did I mention he has six kids? The youngest is 14, and lives part-time with JP and his partner, Sherri. The older children are in their 20s, and are out in the world living their adult lives. 5 of his 6 kids are adopted out of the foster care system. They started with 2 children in foster care, and through a series fortunate (and unfortunate) twists and turns, ended up officially adopting all of them in 2005. Jason’s partner Sherri also has 5 other children, which makes for a very full and very fun household! We are all excited to have JP on our team, and hopefully, his story helps people understand more about our company, our leadership, and the things that truly matter to us all!